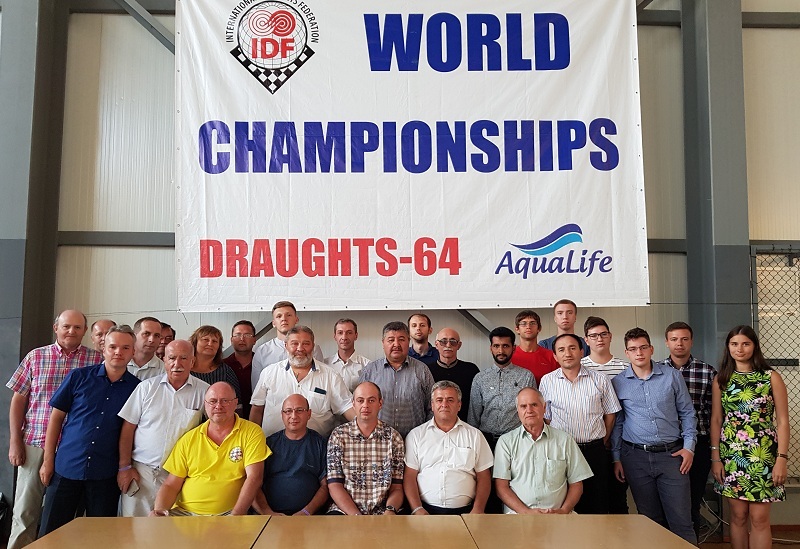 August 30, 2018 at the Aqua Life Sports Complex, Kranevo (Bulgaria), during the World Draughts-64 Championship among youth, veterans and teams, the regular report-elective General Assembly (General Meeting) of International Draughts Federation (IDF) was held. The new IDF Board was elected and various issues of IDF activities were considered. A presidential report and a number of documents of the General Assembly have been published. 11-09-2018 We are starting to publish the materials of the regular report-elective General Assembly (General Meeting) of International Draughts Federation (IDF). 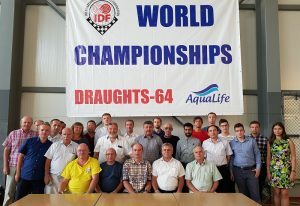 31-00-2018 August 30, 2018 at the Aqua Life Sports Complex, Kranevo (Bulgaria), during the World Draughts-64 Championship among youth, veterans and teams, the regular report-elective General Assembly (General Meeting) of International Draughts Federation (IDF) was held. Representatives of 29 IDF member-countries, Board members and invited guests took part in the work of the Assembly. The new IDF Board was elected, normative documents in the wording of 2018 and international titles were approved, various issues of IDF activities were considered. The protocol of the General Assembly will be published shortly.